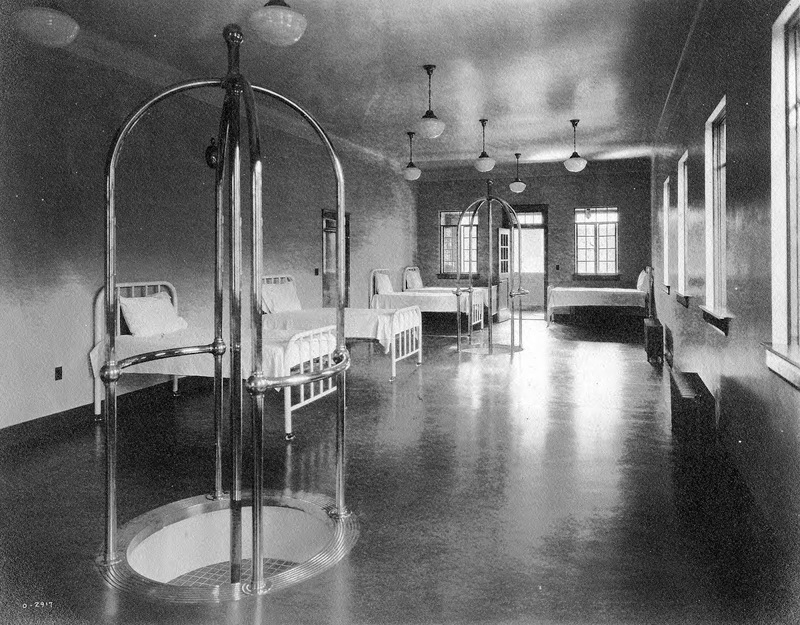 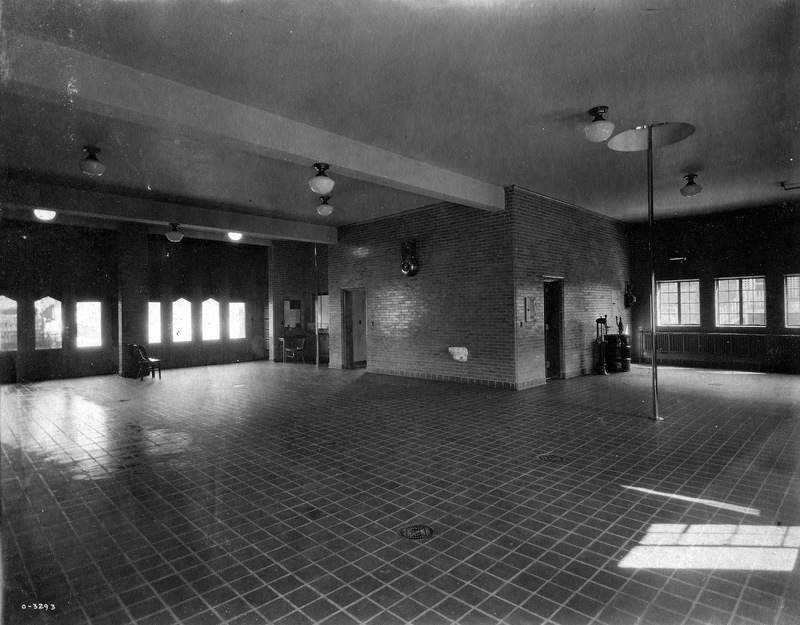 Station 4 opened on August 15th, 1927. 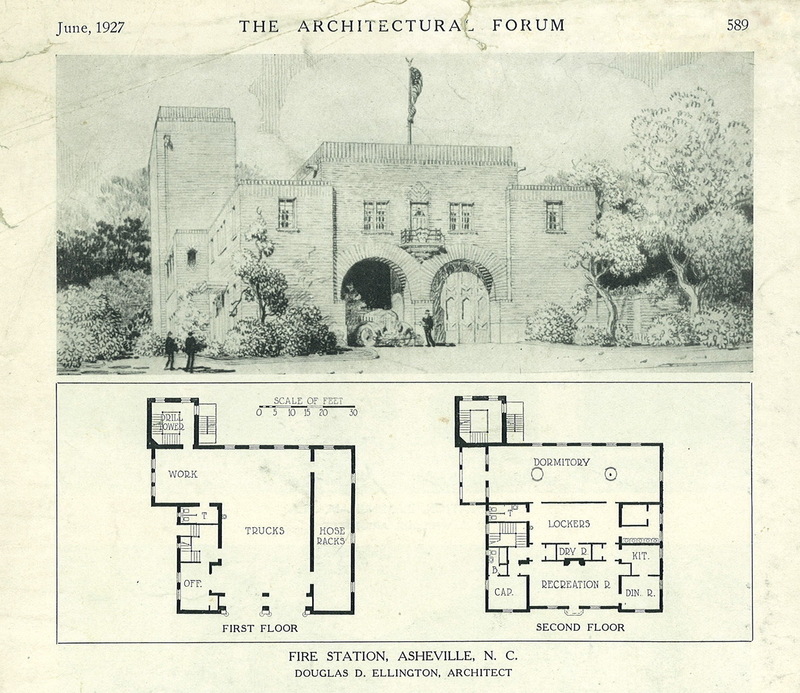 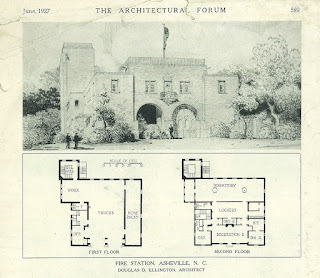 It was designed by famed Art Deco architect Douglas Ellington. 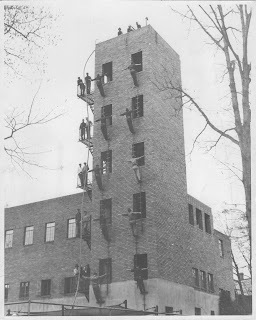 A training tower was in the design and was a great asset for the fire department to train current and new recruits. 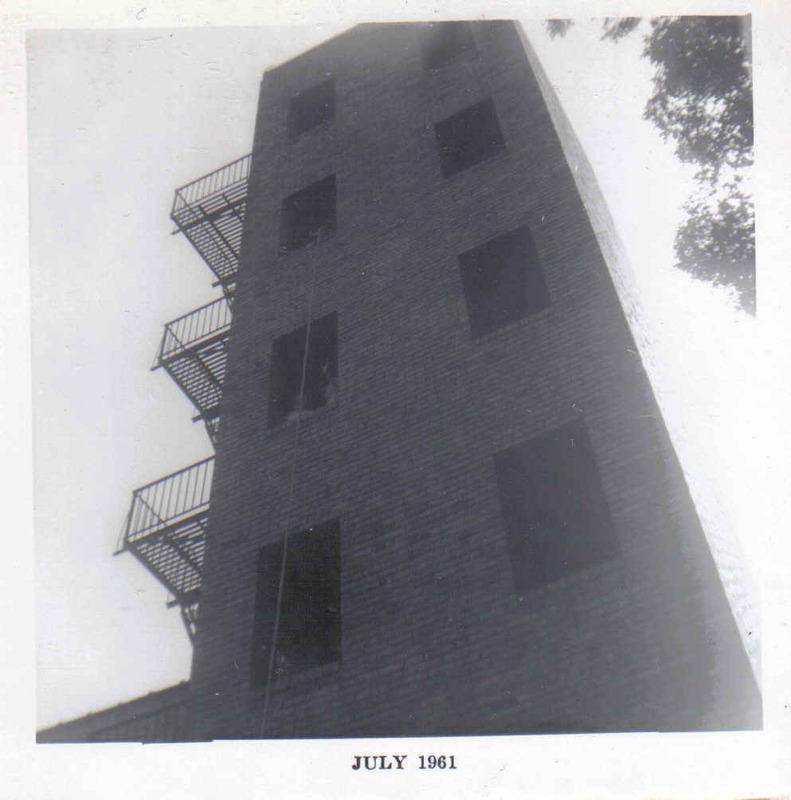 No training facility existed prior to Station 4's construction. 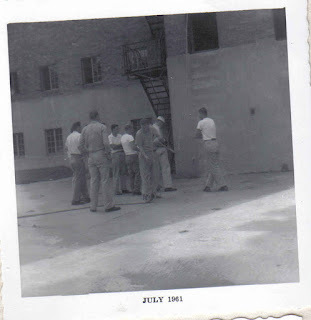 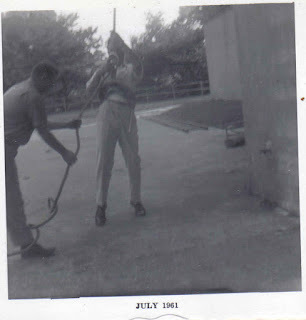 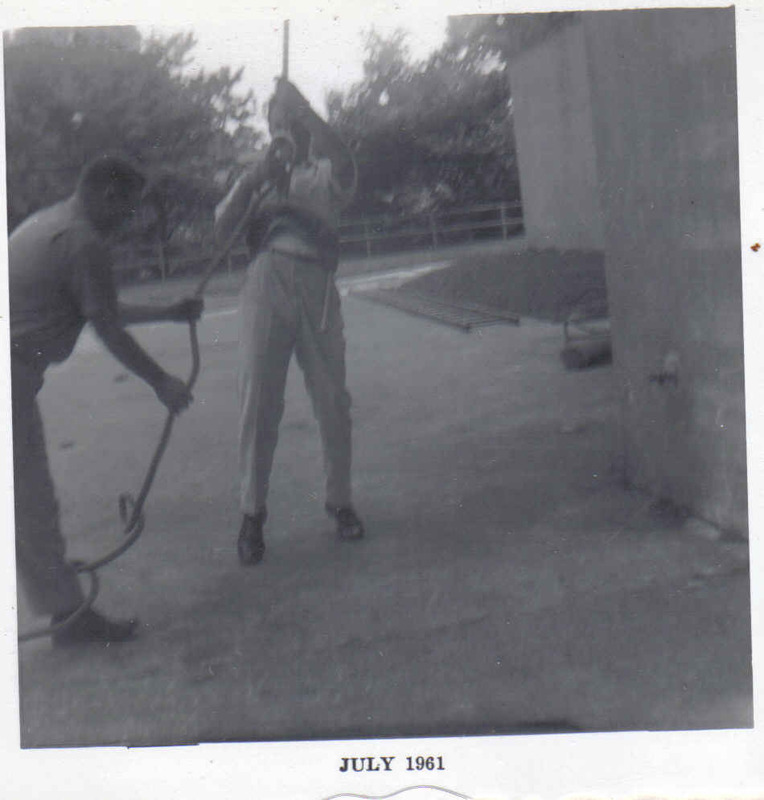 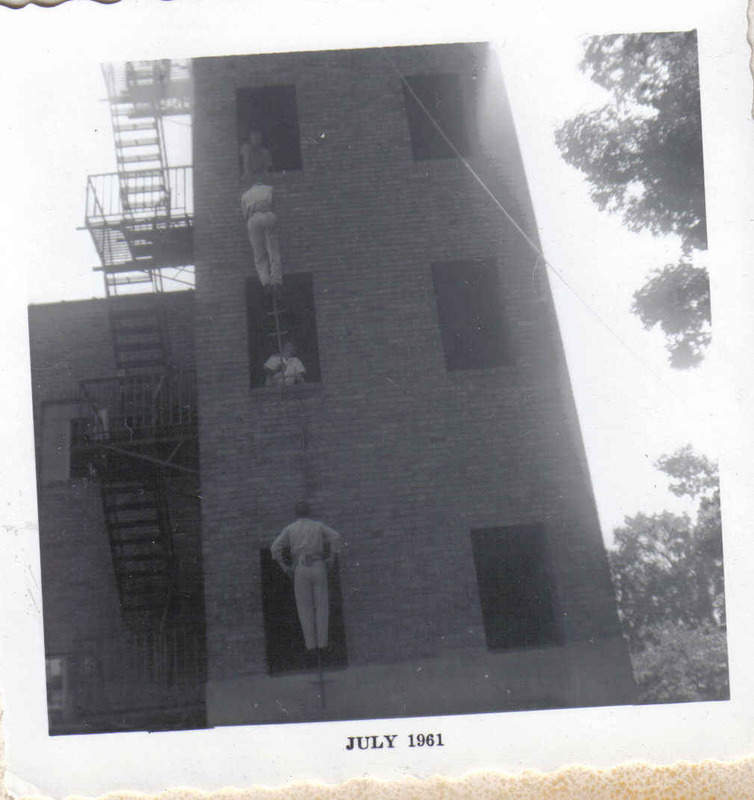 Summer drills were started in 1930 and training was held here until the early 1970's when training was moved to the Buncombe County Firefighters Training Center which opened in 1967. 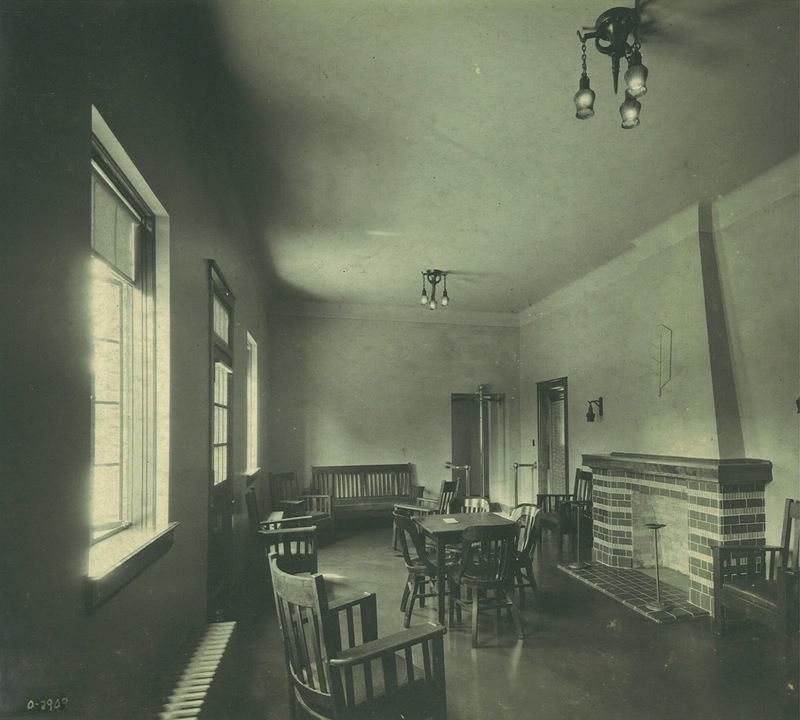 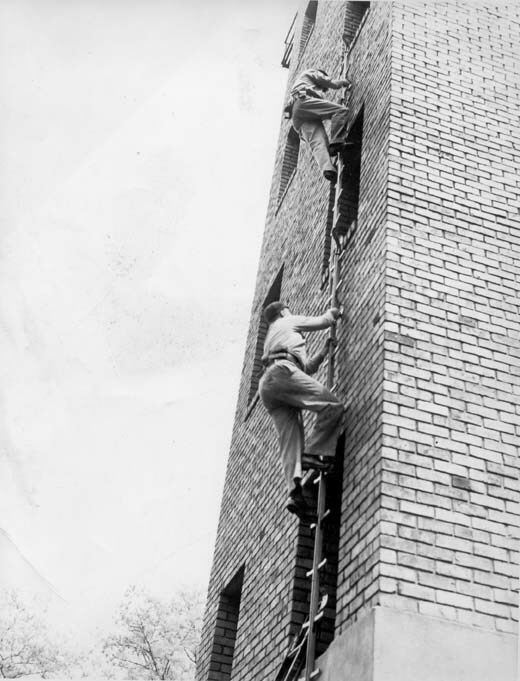 Photo from NC State archives. Photo from NC State archives. From December 1957. The outside stairwell has since been removed. 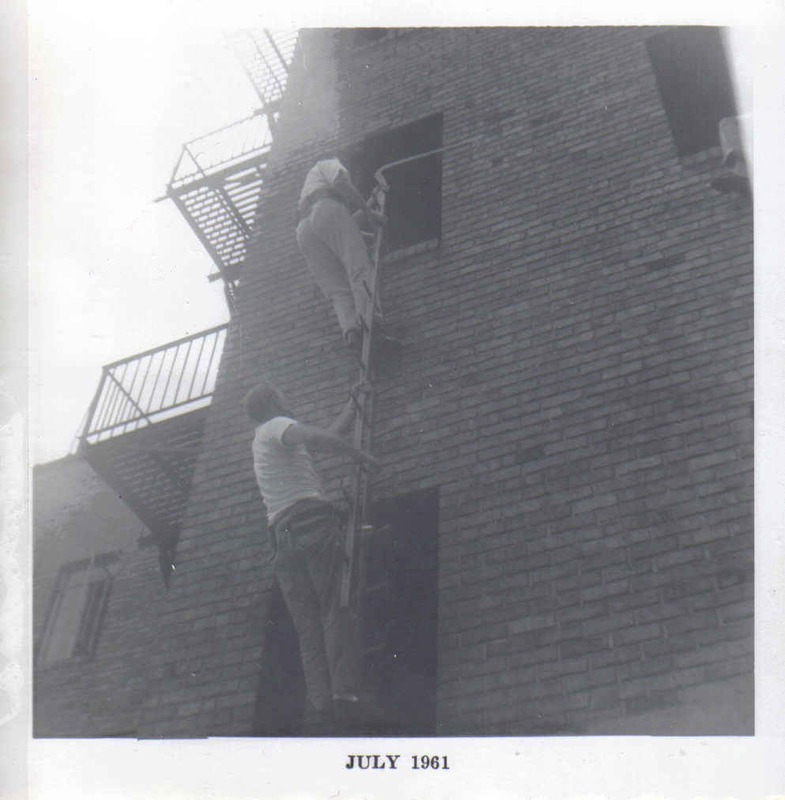 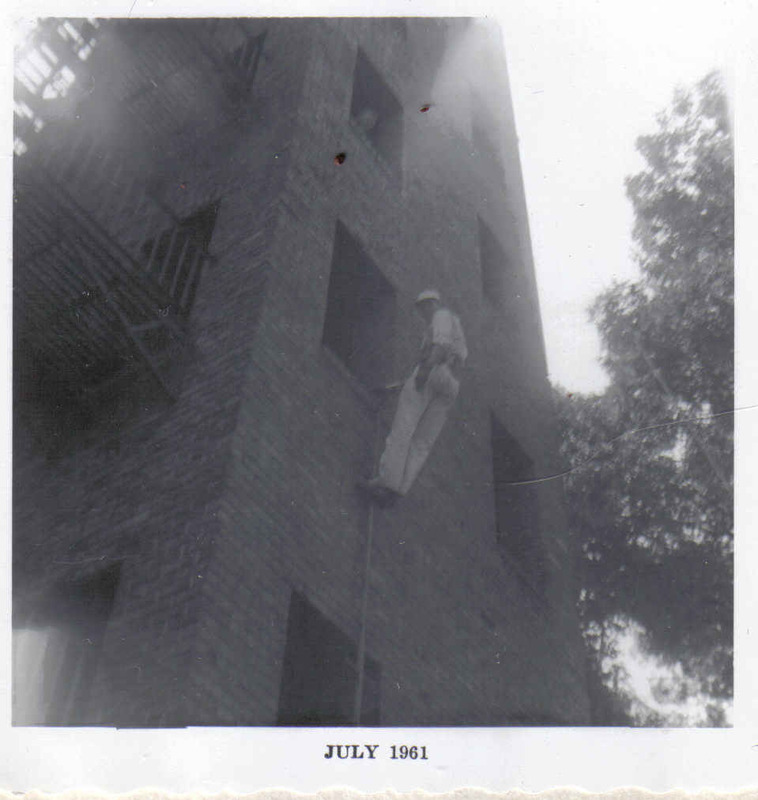 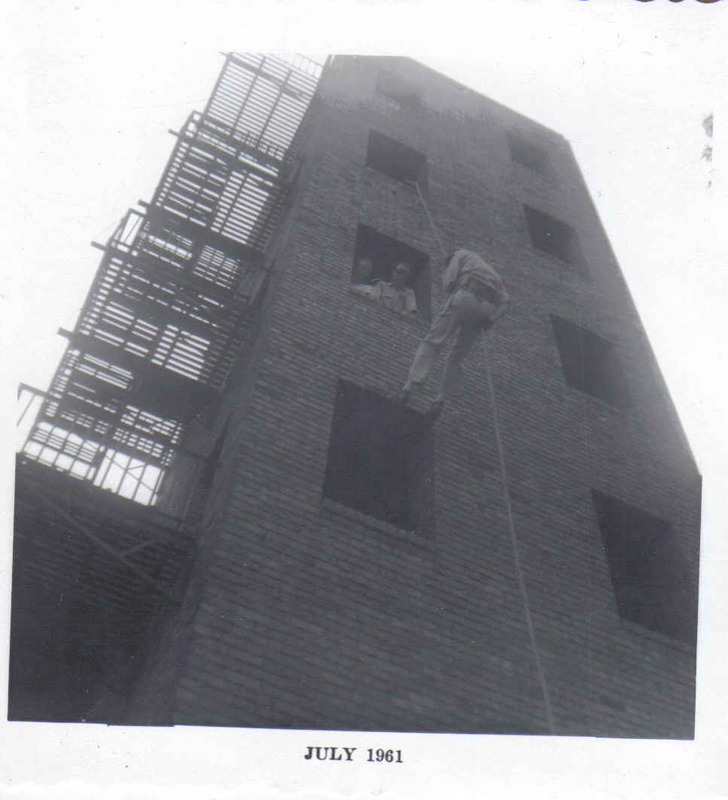 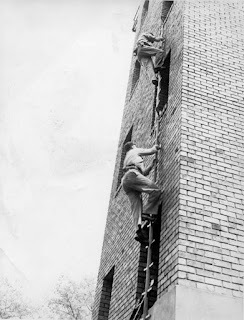 Using Pompier Ladders to scale the outside of the building in December 1957. 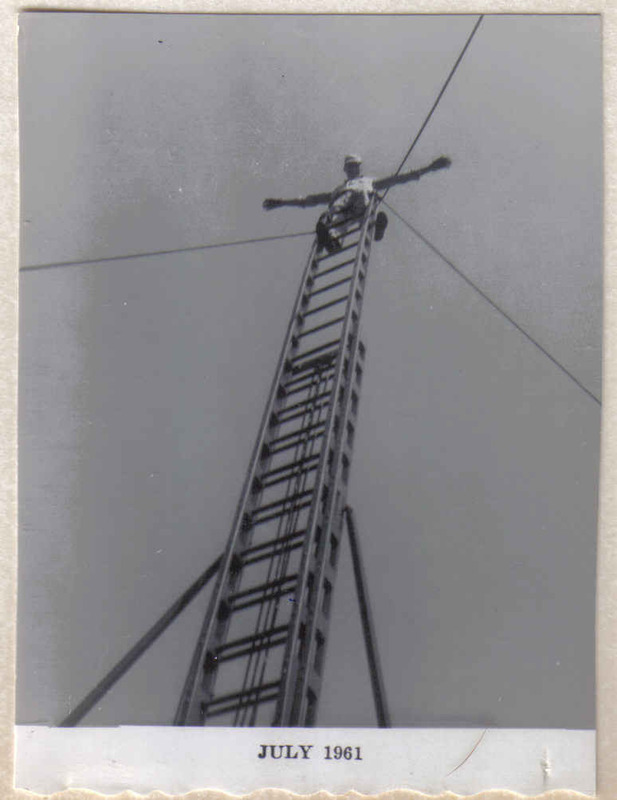 This is known as a church raise. 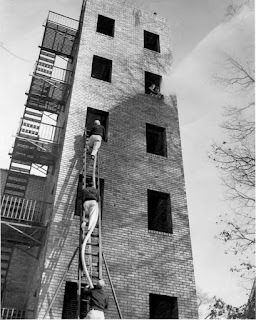 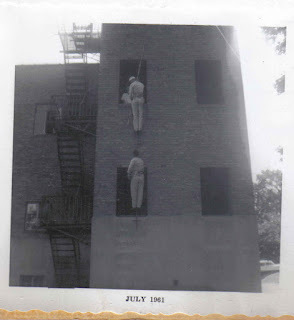 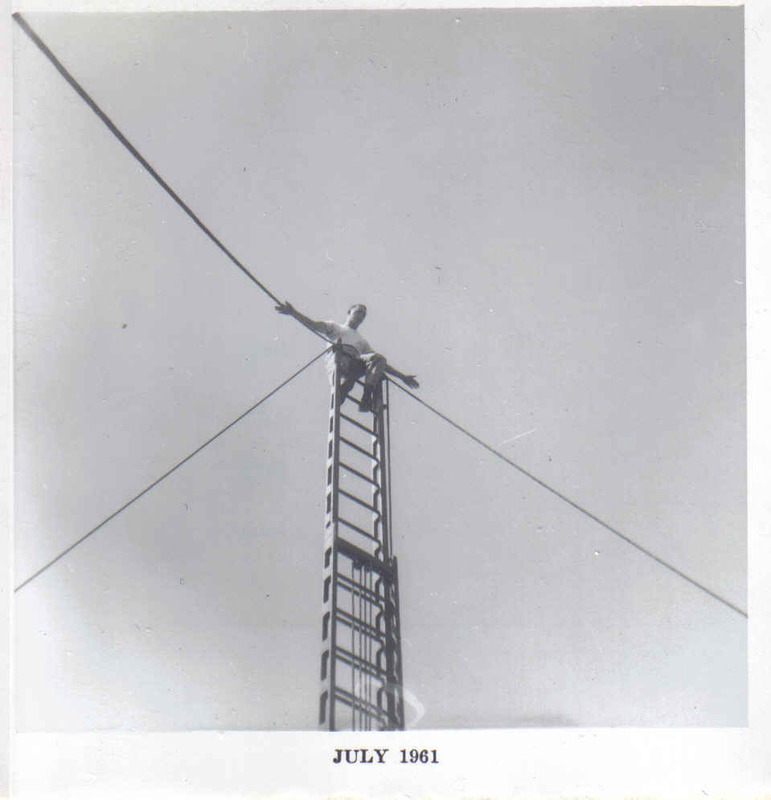 It was a time-honored tradition in fire departments to raise a ladder straight up and trust your fellow firefighters to hold it up in the air with ropes while you climbed to the very top, locked your leg in the rungs, and leaned back. 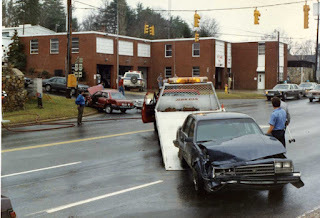 This and the following photos are from Bill Duyck. This is the only photo showing the safety net that was installed for training. 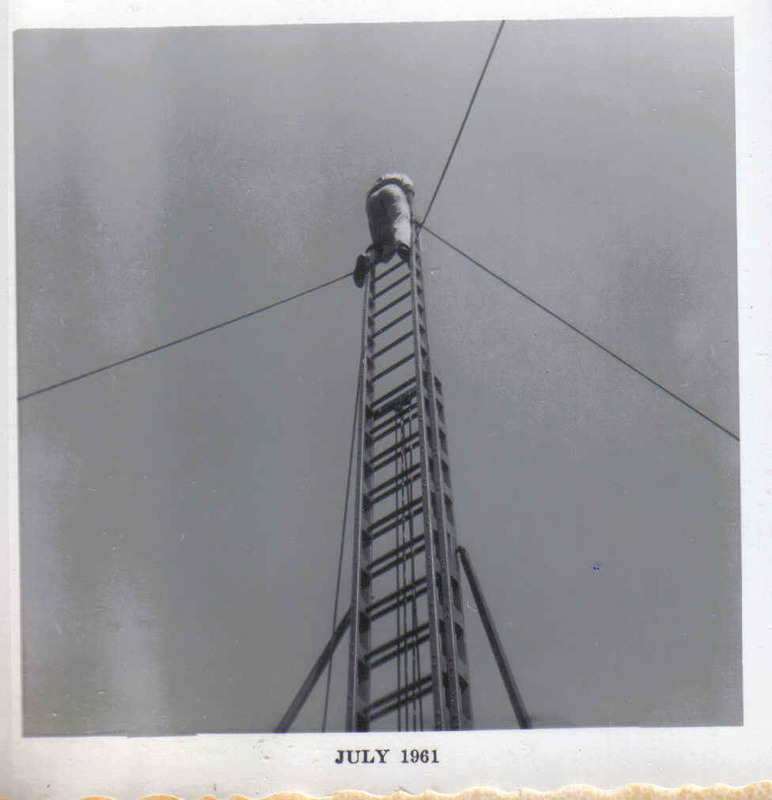 It was a series of poles and ropes holding up the net. 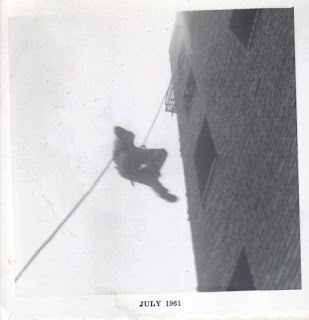 In the parking lot of old Station 4 still seen today are capped pole holes and steel rings for the safety net. 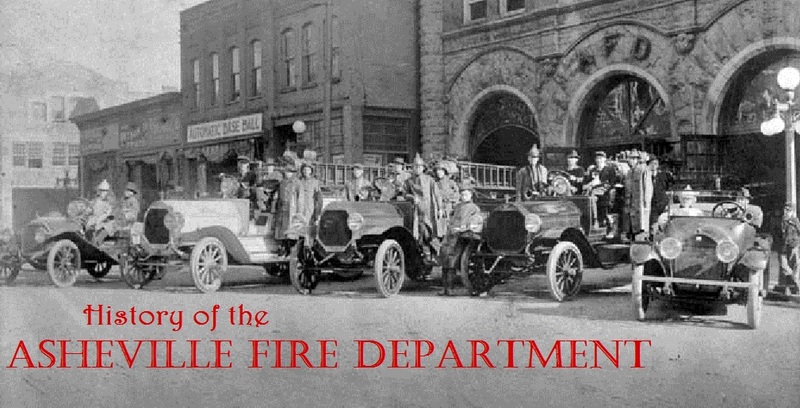 Photo from IAFF Local 332. 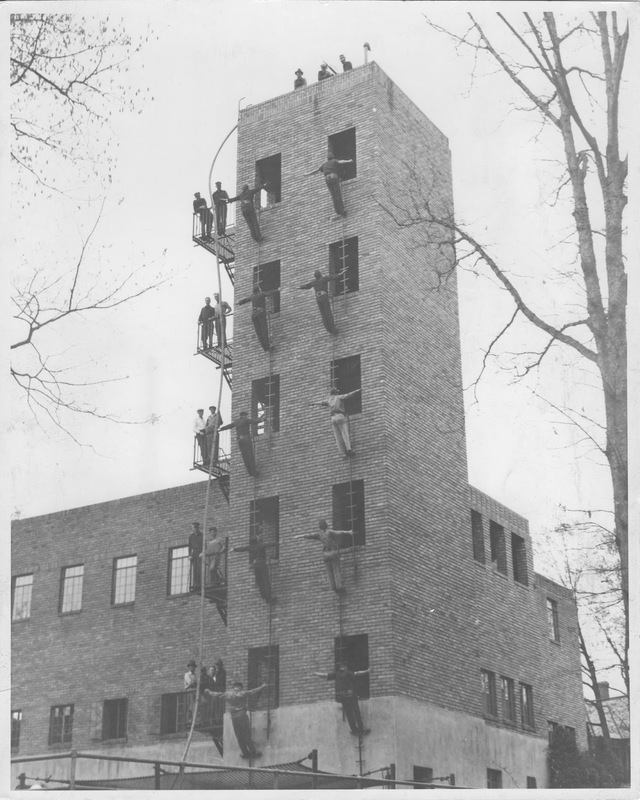 This is a great article from the Asheville Citizen showing several drills for the tower. See if you can find all four drills. Clipping from Bruce Duckett. Station 4 had an engine company and later added a ladder company. 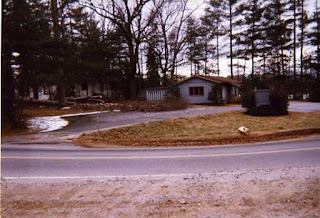 Station 4 closed in 1976. 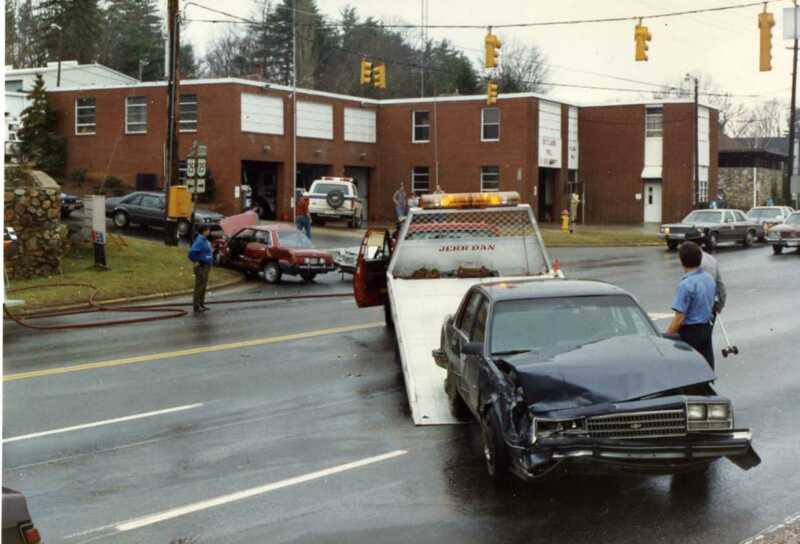 It was used by the city street department until the Arson Task Force was created in 1982. 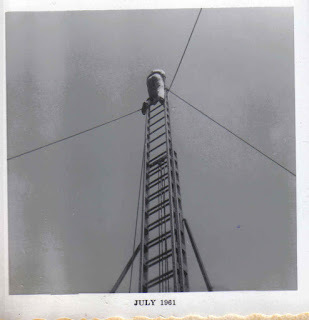 A cellphone company has added a cell tower in the form of a flag pool to the top of the training tower and added an equipment room at its base. 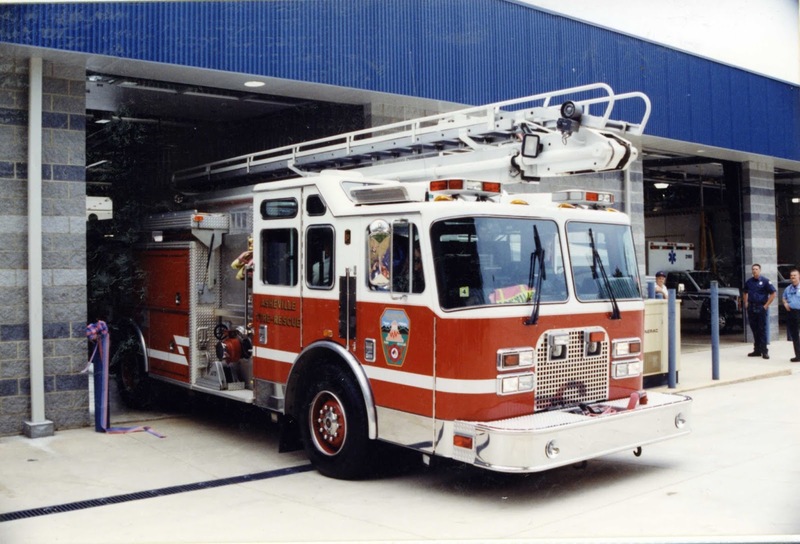 The station reopened as Station 14 on June 8th, 2009 at 8:43 a.m. using Squad 1 from Station 1 that became Squad 14 from 0800-1800, then went back to Squad 1 at Station 1 for the night . 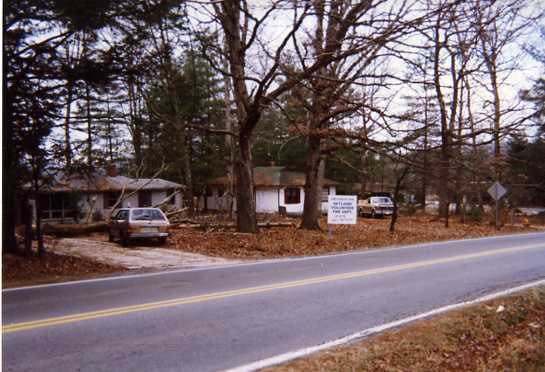 This went on until October 8th, 2009. 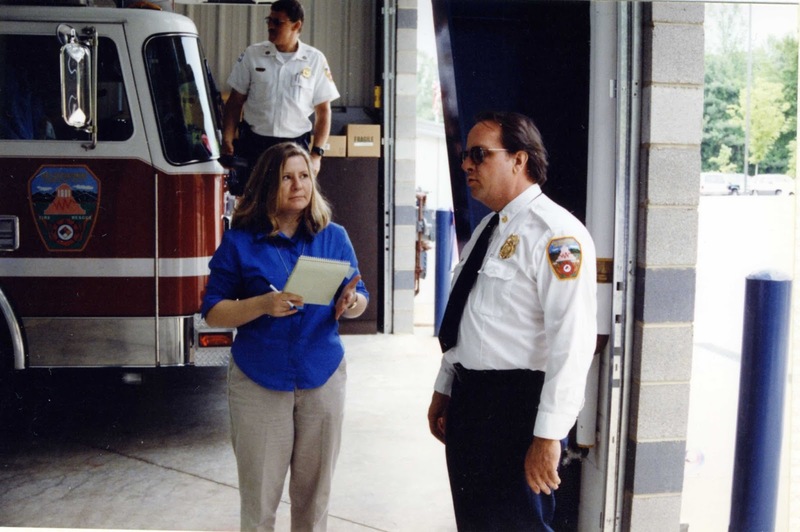 The purpose was to gather response data for certain areas of Montford to see if a new fire station was needed in that area to cut down on response times. The building was placed on the National Register of Historic Places in 2000. 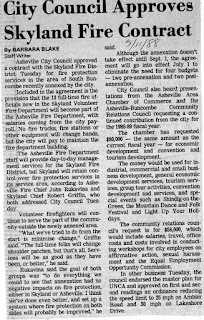 In 1988 the City of Asheville annexed into Skyland Volunteer Fire Department's district that included their main fire station. 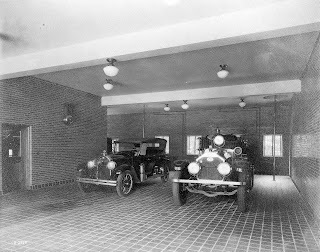 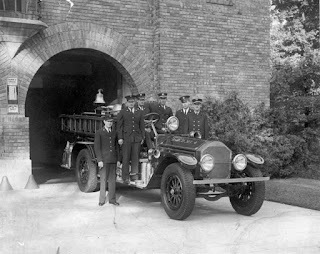 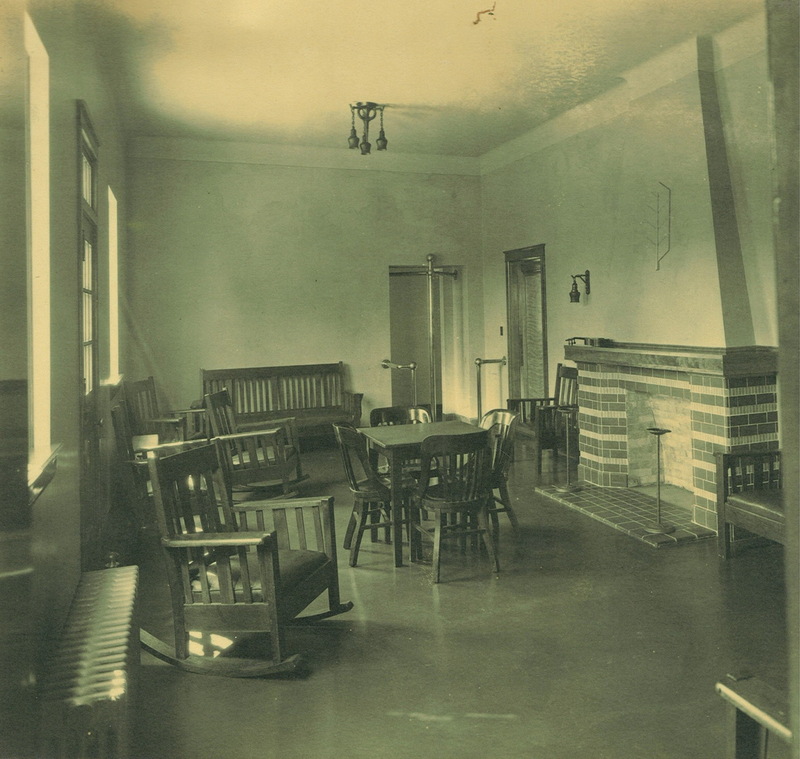 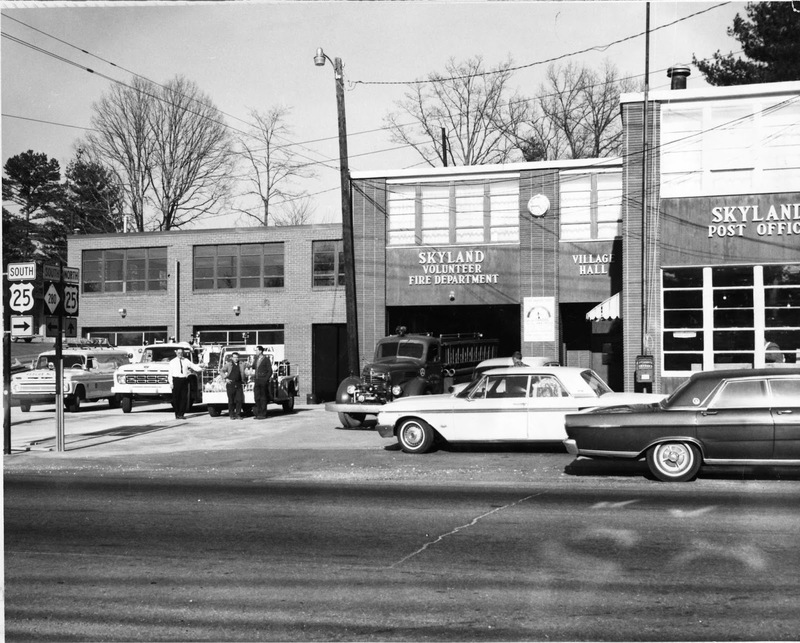 A fire protection agreement went into effect on July 1st and at that time, Station 4 was brought back at Skyland's original main station shown in the photo. 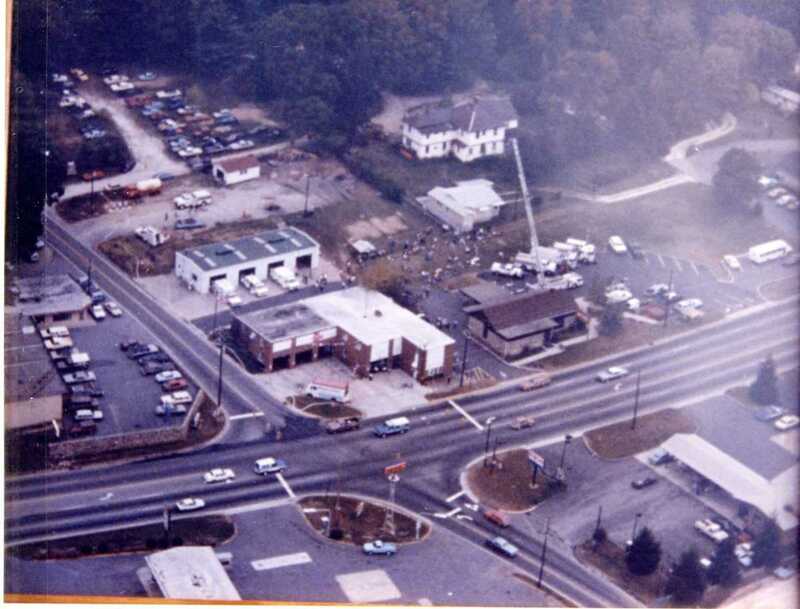 Photo from Skyland FD. 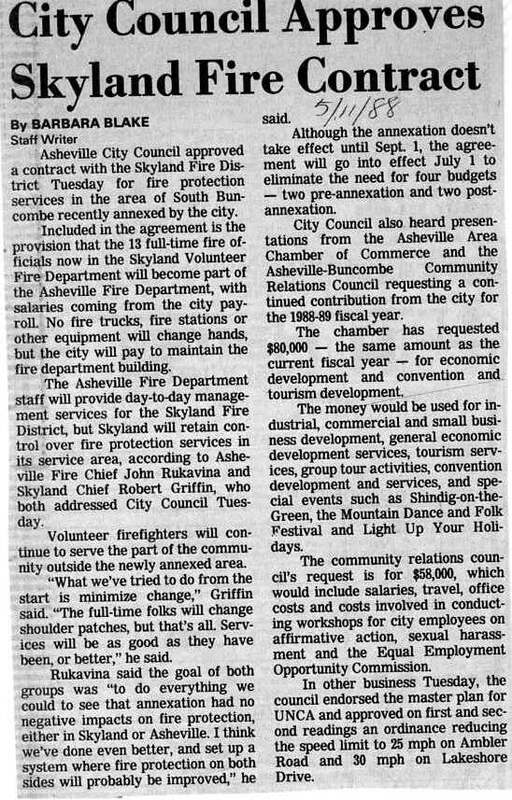 This article from the Asheville Citizen-Times shows the terms of the original agreement that went into effect on July 1st, 1988. 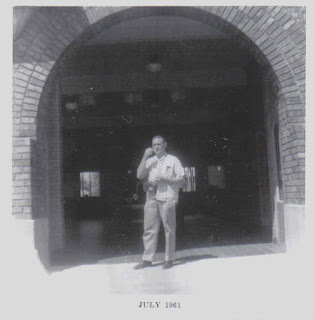 The agreement has changed many times over the years. 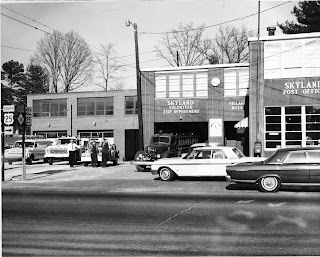 Engine 4 was first located at AFD Station 5, then brought down to the Skyland main station. This is the only fire engine that was jointly built by AFD and Skyland, hence the joint color scheme and dual door emblems. Photo from Skyland FD. 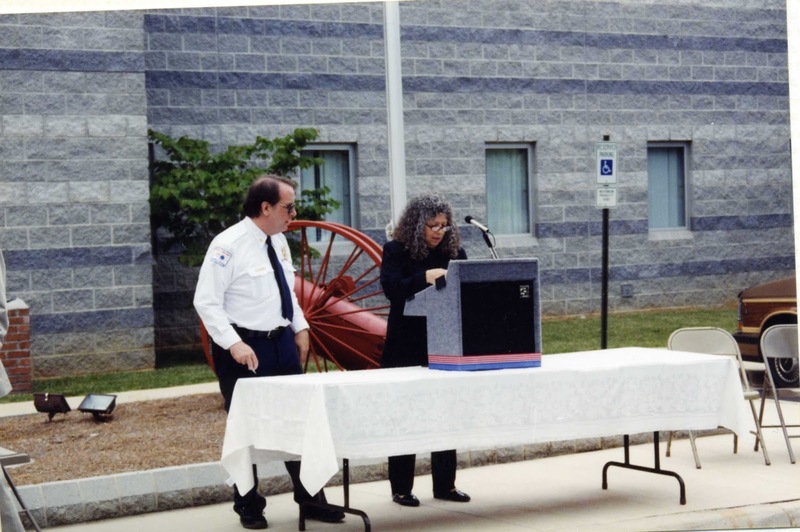 On October 5th, 1997 Skyland FD held an open house for their new station which was built directly behind their original station. Photo from Skyland FD. 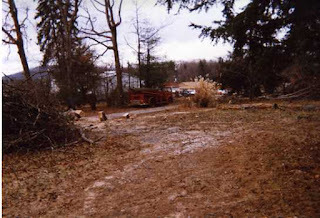 This and the following photos show what was in the area where the new Skyland main station was built. 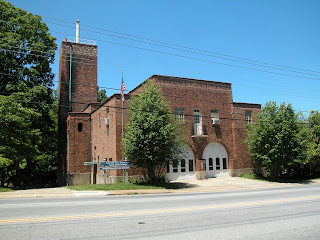 Photos from Skyland FD. Aerial images showing Skyland's old and new stations. Photos from Skyland FD. AFD added two drive-through bays, space for the on-duty crew (though not completed), and offices for Asheville Police Department with a dedication in May 1999. 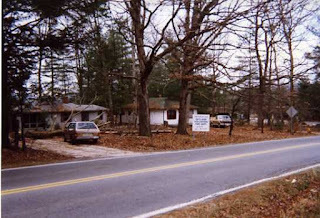 The old Skyland main station was then torn down. 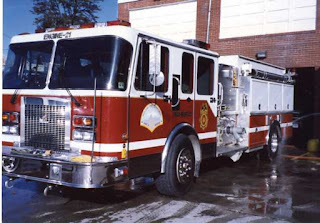 Here the new KME Engine 4 breaks through the ribbon. 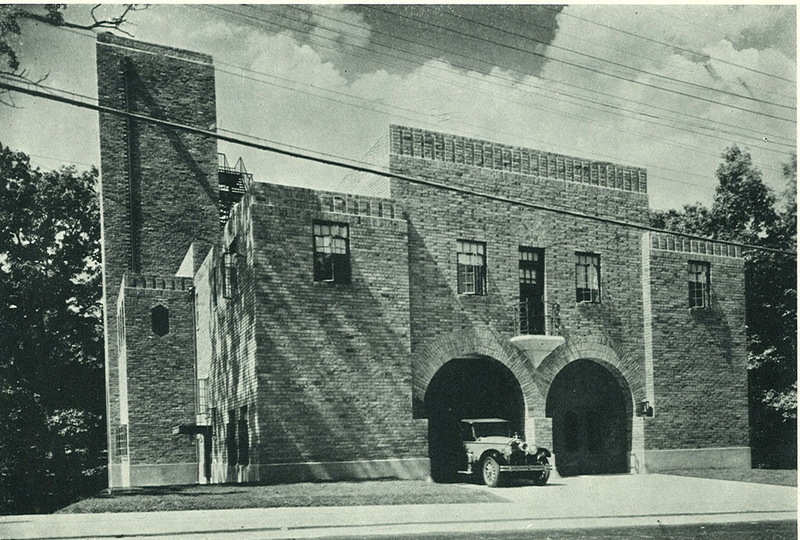 Station 4 was very unique at the time with Skyland fire station 1, city station 4, city police sub-station, and a Buncombe County EMS unit all in the same building. 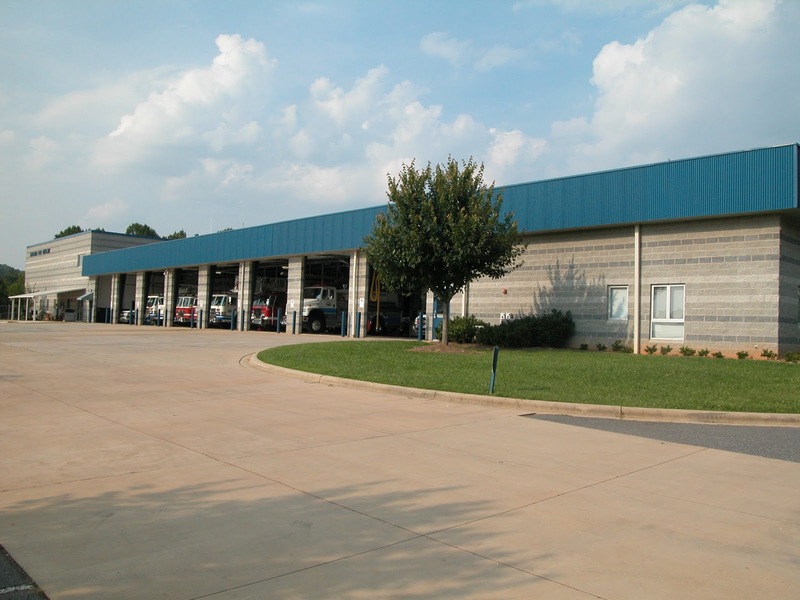 Buncombe County EMS has since moved out to the new Skyland Station 4. 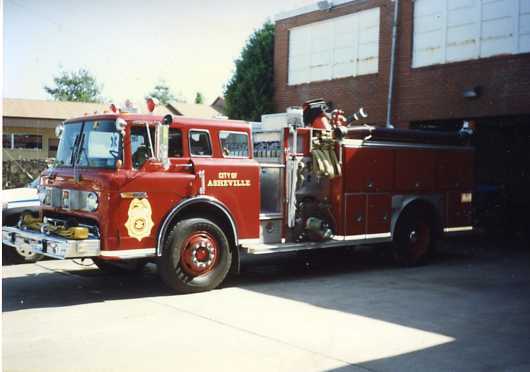 Photo from AFD. Here is former AFD Chief John Rukavina. Here is Chief Rukavina and City of Asheville Mayor Leni Sitnick.